At the 2016 Detroit Auto Show today, GM published all the specs of its upcoming Bolt EV (see below). The company finally confirmed that the vehicle will be equipped with a 60 kWh battery pack and that DC fast-charging will be available, but as an option. We already knew the battery pack would be in the ballpark of 60 kWh after Seth’s test drive of the vehicle, but now the official specs of the car confirm the capacity. GM added that the battery pack is made of 288 cells in three groups of 96-cell and it weights a total of 960 lbs (435 kg). The Bolt EV battery will be covered by an 8-year/ 100,000 mile (whichever comes first) limited warranty. The most notable new information in the release of the specs is that DC fast-charging will be optional. Although now standard on all Model S’s, maybe you remember that when Tesla first launched its all-electric sedan, supercharging was also optional on the 60 kWh version of the vehicle. Since then, Tesla discontinued its 60 kWh battery pack to only offer 70, 85 and 90 kWh packs with DC fast-charging standard on each vehicle. The MSRP of the Bolt is $37,500 before incentives, but the company didn’t reveal what the DC fast-charging option will cost. GM says that with the SAE Combo DC Fast Charge, the Chevy Bolt EV will be able to add 90 miles of range in about 30 minutes. It is somewhat disappointing considering DC fast-charging is primarily to make long-distance travel possible, and expecting drivers to stop every 90 miles for 30 minutes of charging is not ideal. The Bolt is also equipped with a 7.2 kW onboard charger for level 2 and overnight charging. 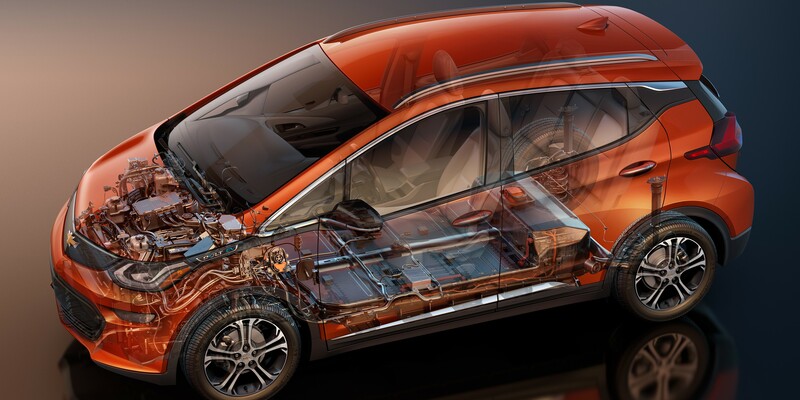 The company says that the Chevy Bolt is powered by a single motor unit capable of producing up to 266 lb.-ft. (360 Nm) of torque and 200 hp (150 kW) of motoring power.